Léopold Chrétien Frédéric Dagobert Cuvier (August 23, 1769 - May 13, 1832) was a French naturalist and zoologist, and one of the most influential science figures in the early nineteenth century. He preferred to be called Georges Cuvier although it was not his legal name (Hull 1988). He was the elder brother of Frédéric Cuvier (1773 – 1838), also a naturalist. Cuvier was primarily a comparative anatomist and paleontologist, and indeed some consider him the founder of comparative anatomy, or of vertebrate paleontology. He established many key concepts: that extinction was a fact; that different rock strata in the Paris basin held different mammalian fauna; that the lower the rock strata, the more different the fossils were from living species. Although Cuvier did not accept the idea of organic evolution, his findings produced knowledge that would ultimately provide support for the evolutionary theories of Charles Darwin. Cuvier believed that animals and plants were unchanging throughout their existence, that the structure and function of animals and plants is narrowly constrained, and that any changes in structure and function would lead to extinction of the species. Further, evidence in the fossil record led him to the view that species could be abruptly extinguished by catastrophes, and that new species must be created after catastrophic extinctions, otherwise the earth’s species would disappear over time. Cuvier’s finding that new species appear suddenly can be taken as grounds to support either of two views: that natural selection is a creative force operating on a stratum of randomly-produced variation or that it is a natural “weeding-out” process operating on a stratum of abrupt, non-random variation originating from a creator, God. The first view is that of Darwinian descent with modification in which variation is random and natural selection is the creative force in the evolution of major designs and new species, the second view has been held historically and in the present by some who seek after theistic explanations of natural processes. Cuvier was famous for his disagreements with two contemporaries, Jean-Baptiste Lamarck (1744-1829) and Etienne Geoffroy Saint-Hilaire (1772-1844). Cuvier was born at Montbéliard, a French-speaking community in the Jura Mountains, not under French jurisdiction, but ruled by the Duke of Württemberg. He was the son of a retired officer on half-pay belonging to a Protestant family that had emigrated as a consequence of religious persecution. Cuvier early showed a bent towards the investigation of natural phenomena, and was noted for his studious habits and marvelous memory. From 1784 to 1788, he went to school at the Carolinian Academy in Stuttgart. After spending four years at the Academy of Stuttgart, Cuvier accepted the position of tutor in the family of the Comte d'Héricy, who was in the habit of spending the summer near Fécamp. It thus came about that he made the acquaintance of the agriculturist, A. H. Tessier, who was then living at Fécamp, and who wrote strongly in favor of his protégé to his friends in Paris—with the result that Cuvier, after corresponding with the well-known naturalist Étienne Geoffroy Saint-Hilaire, was appointed in 1795 assistant to the professor of comparative anatomy at the Muséum National d'Histoire Naturelle. 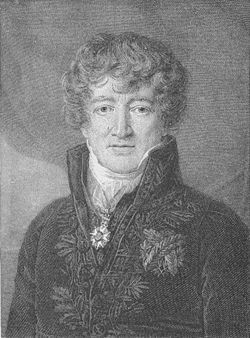 Within a year of arriving in Paris, Cuvier was elected a member of the Institut de France (Academie des Sciences after 1815), where Geoffory Saint-Hilaire had become a member in 1792. In 1796 Cuvier began to lecture at the École Centrale du Pantheon, and at the opening of the National Institute in April, he read his first paleontological paper, which was subsequently published in 1800 under the title Mémoires sur les espèces d'éléphants vivants et fossils. In 1798 his first separate work was published, the Tableau élémentaire de l'Histoire naturelle des animaux, which was an abridgment of his course of lectures at the École du Pantheon and may be regarded as the foundation and first and general statement of his natural classification of the animal kingdom. In 1799, Cuvier succeeded L. J. M. Daubenton as professor of natural history in the College de France, and in the following year he published the Leçons d'anatomie comparée, in the production of which he was assisted by André Marie Constant Duméril in the first two volumes, and by Georges Louis Duvernoy in three later ones. In 1802, Cuvier became titular professor at the Jardin des Plantes; in the same year, he was appointed commissary of the Institute to accompany the inspectors general of public instruction. In this latter capacity he visited the south of France. However, in the early part of 1803, Cuvier was made permanent secretary of the Institute, in the department of the physical and natural sciences, and he consequently abandoned the appointment just mentioned and returned to Paris. Cuvier now devoted himself particularly to three lines of inquiry—one dealing with the structure and classification of the Mollusca, the second with the comparative anatomy and systematic arrangement of fish, and the third with fossil mammals and reptiles primarily, and secondarily with the osteology of living forms belonging to the same groups. His papers on the mollusks began as early as 1792, but most of his memoirs on this branch were published in the Annales du museum between 1802 and 1815. They were subsequently collected as Mémoires pour servir de l'histoire et a l'anatomie des mollusques, published in one volume at Paris in 1817. Cuvier is noted for his division of animals, not into vertebrates and invertebrates, but into four great embranchements: Vertebrata, Mollusca, Articulata (insects and crustaceans), and Radiata. Foucault (1966) considered this the real revolution in biology, by breaking the Great Chain of Being into four embranchements, and he felt that Darwin's subsequent revolution was minor in comparison. In the department of fish, Cuvier's research, begun in 1801, culminated in the publication of the Histoire naturelle des poissons, which contained descriptions of five thousand species of fish, and was the joint production of Cuvier and A. Valenciennes. This publication extended over the years 1828 to 1831. The department of palaeontology dealing with mammals may be said to have been essentially created and established by Cuvier. In this region of investigation, Cuvier published a long list of manuscripts, partly relating to the bones of extinct animals, and partly detailing the results of observations on the skeletons of living animals, especially examined with a view of throwing light upon the structure of the fossil forms. In the second category were a number of papers relating to the osteology of the Rhinoceros Indicus, the tapir, Hyrax Capensis, the hippopotamus, the sloth, the manatee, and so forth. In the former category, relating to bones of extinct animals, Cuvier published most of his manuscripts, dealing with extinct mammals of the Eocene beds of Montmartre, the fossil species of hippopotamus, the Didelphys gypsorum, the Megalonyx, the Megatherium, the cave-hyena, the pterodactyl, the extinct species of rhinoceros, the cave bear, the mastodon, the extinct species of elephant, fossil species of manatee and seals, fossil forms of crocodilians, chelonians, fishes, birds, and so forth. The results of Cuvier's principal paleontological and geological investigations were ultimately given to the world in the form of two separate works. One of these is the celebrated Recherches sur les ossements fossiles de quadrupedes, published in Paris in 1812, with subsequent editions in 1821 and 1825. The other is his Discours sur les revolutions de la surface du globe, published in Paris in 1825. However, none of Cuvier's works attained a higher reputation than his Regne animal distribué d'après son organisation, the first edition of which appeared in four volumes in 1817, and the second in five volumes in 1829-1830. In this classical work, Cuvier embodied the results of his entire previous research on the structure of living and fossil animals. The work was almost entirely his own, with the exception of the Insecta, in which he was assisted by his friend Pierre André Latreille. Cuvier established many key concepts. He was able to convince his contemporaries that extinction was a fact, and was the first to demonstrate that different rock strata in the Paris basin held different mammalian fauna. He also documented that the lower the rock strata, the more different the fossils were from living species. Although Cuvier did not accept the idea of organic evolution, such findings produced knowledge that would ultimately provide support for the evolutionary theories of Charles Darwin. Cuvier himself was an essentialist, who believed that animals and plants were unchanging throughout their existence. He believed that the structure and function of organisms is narrowly constrained and any changes would result in the extinction of those species. The fossils that Cuvier and his team found in the Paris basin appeared suddenly in the rock strata. He concluded that species were abruptly extinguished by catastrophes, and that new species were created after the catastrophic extinctions, otherwise the earth's species would disappear over time. In 1821, Cuvier made what has been called his “Rash Dictum”: he remarked that it was unlikely for any large, unknown animal to be discovered. Many such discoveries have been made since Cuvier's statement. Apart from his own original investigations in zoology and paleontology, Cuvier carried out a vast amount of work as permanent secretary of the National Institute, and as an official connected with public education generally, and much of this work appeared ultimately in a published form. In 1808, he was placed by Napoleon upon the council of the Imperial University, and in this capacity he presided (in the years 1809, 1811, and 1813) over commissions charged to examine the state of the higher educational establishments in the districts beyond the Alps and the Rhine, which had been annexed to France, and to report upon the means by which these could be affiliated with the central university. He published three separate reports on this subject. In his capacity, again, of permanent secretary of the Institute, he not only prepared a number of éloges historiques on deceased members of the Academy of Sciences, but he was the author of a number of reports on the history of the physical and natural sciences. The most important of these was the Rapport historique sur le progrès des sciences physiques depuis 1789, published in 1810. Prior to the fall of Napoleon (1814), Cuvier had been admitted to the council of state, and his position remained unaffected by the restoration of the Bourbons. He was elected chancellor of the university, in which capacity he acted as interim president of the council of public instruction, while he also, as a Lutheran, supervised the faculty of Protestant theology. In 1819, Cuvier was appointed president of the Committee of the Interior and retained the office until his death. In 1826, Cuvier was made grand officer of the Legion of Honour, and in 1831, Louis Philippe elevated him to the rank of "peer of France." He was subsequently appointed president of the council of state. In the beginning of 1832, Cuvier was nominated to the ministry of the interior, but in May, while in Paris, he died of cholera after a brief illness. Cuvier's life as a scientist is also noted for his conflict with two leading scientists of his time, Jean-Baptiste Pierre Antoine de Monet Lamarck and Etienne Geoffroy Saint-Hilaire. In the case of Lamarck, Cuvier objected to Lamarck's speculative approach to science, with Cuvier focused on gathering and presenting of facts. He originally tried to ignore Lamarck, but later objected to him in publications and in private. His Discours preliminaire sur les revolutions du globe repeatedly attacked Lamarck, and in his famous Eloge, Cuvier attached Lamarck's approach to science (Hull 1988). In the case of Geoffroy Saint-Hilaire, originally Cuvier was on good terms, with Geoffory Saint-Hilaire (along with Lamarck) helping to bring him to Paris, and coauthoring papers together. Hull (1988) speculates that contributing to the break between the two was Cuvier's failure to help Geoffory Saint-Hilaire after he was abandoned in Egypt for some time after having joined Napoleon in his conquest of Egypt, as well as Cuvier declining to help Saint-Hilaire regain a position in the scientific community when he finally returned to Paris. They soon became professional enemies. Cuvier had the same basic problem with Geoffroy Saint-Hilaire as he did with Lamarck, portraying him as irresponsibly speculative (Hull 1988). In 1830, they had a famous debate before the Academy of Science. This debate has been interpreted post-Darwin as a debate over evolution, with Cuvier opposing evolution and Geoffroy Saint-Hilaire in favor. But, in reality, it mostly centered on the number of archetypes needed to characterize organisms, with Cuvier holding to four and Geoffroy Saint-Hilaire seeing a single plan. Cuvier's Eloge on Lamarck also was directed against Geoffroy Saint-Hilaire (Hull 1988). Foucault, M. 1966. Les Mots et les Choses: Une Archeologie des Sciences Humaines. Paris: Gallimard. de CAndolle, A. P. 1832. Mort de G. Cuvier. Bibliothique universelle. Laurillard, C. L. 1836. Cuvier. Biographie universelle, supp. vol. 61. Lee, S. 1833. Memoirs of Cuvier. Translated into French by T Lacordaire. Outram, D. 1984. 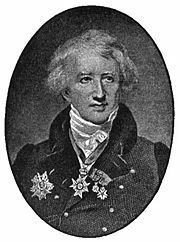 Georges Cuvier: Vocation, Science and Authority in Post-Revolutionary France. Palgrave: Macmillan. This page was last modified on 29 August 2008, at 13:42.